Meet Camila & Rafael. Born at only 26 weeks and just 1.5 lbs each, "Mila" and "Felo" are miracle twins and best friends who’ve come a long way since their early start in the NICU. Mila spent her first 94 days in the NICU, has short stature and developmental delays. Felo spent 204 days in the NICU, has chronic lung disease, short bowel syndrome, a chromosomal issue, and Autism. Both children see multiple specialists, have been in and out of the hospital, and receive hours of therapy every week. Currently, the miracle twins are doing great thanks to access to affordable health care and Felo's additional support from Medicaid. They have a great medical and therapy team, are able to be included in school with their non-disabled peers, and enjoy the happy childhood at home with their family that all kids deserve. However, if they lose the protection of the ACA or supplemental Medicaid, their family would not be able to access the care the children need to continue to survive and thrive in their community. Their mom worries about needing to return to the days when kids with disabilities and complex medical needs were segregated from their peers, often being forced to live in institutions away from the families that love them. In instances like the failed “skinny repeal,” our national congressional leaders further attempt to undermine our health care. And on the ground, hundreds of children across Texas have seen longer wait times for medicine, fewer therapy lessons, and — in some cases — have been denied access to any Medicaid support at all. While families and allies across Texas stood up in protest to these cuts, government officials and politicians decided to play politics with our children’s lives. Recently, Sen. Orrin Hatch, R-Utah, called people who supported the Affordable Care Act "the stupidest, dumbass people I've ever met." Imagine having your child’s life directly depend on lawmakers’ decisions. This is our everyday reality. Join us by holding elected officials accountable for their actions against health care. 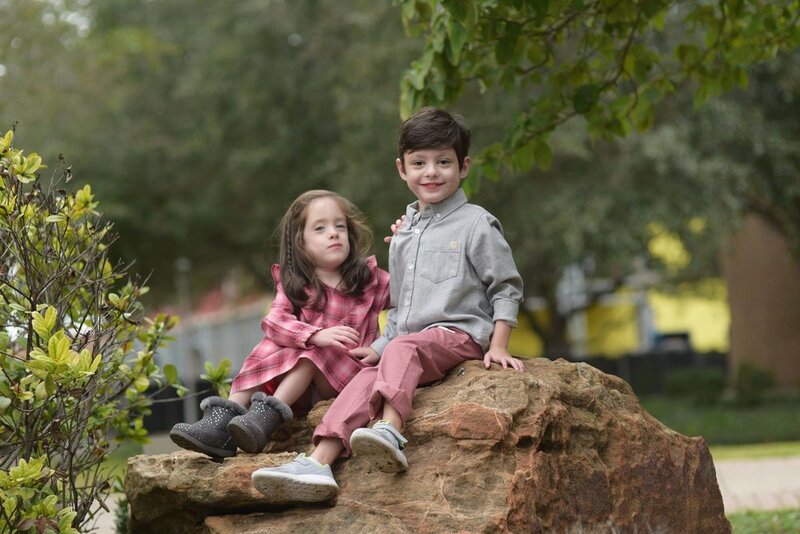 Join us in speaking up for children — like Mila and Felo — who cannot speak up for themselves. Like any parent, we want the best for our family. Like any citizen, we want the best for our community. We are asking our elected officials to do the same."